Welcome to where the designers & decorators shop! Come in & browse through New York's largest & finest selection of Antique Furniture, Garden, Vintage Lighting, Wall Mirrors, Paintings & Prints, Oriental Rugs, Porcelains, Pottery & Decorative Accessories. 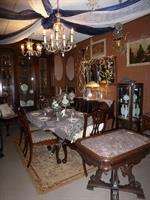 We strive to offer the largest selection of quality antique furniture & accessories with fresh items arriving weekly. ''Relive the Past'' and stroll through our 10,000 square foot showroom with room settings & appropriate period accessories. 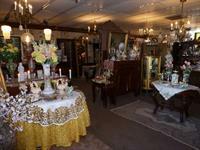 Come take a grand tour with antiques and decorative arts from around the globe at our antique shop. Fine furniture from America, England, and Europe can be found in styles ranging from Gothic, Chippendale, American Empire, Arts and Crafts, to Mid-Century Modern. Porcelains from Sévres and Limoges have traveled to the showroom from France. German Meissen, Austrian Royal Vienna, English Wedgewood and Minton, are all featured items right here in upstate New York, near the Ithaca, Watkins Glen, & Corning, NY area. Customer service is our primary focus. 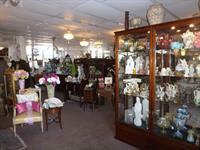 For nearly 20 years Antique Revival has guaranteed every item sold and continues to do so today. Have peace-of-mind when visiting our showroom in the Southern Tier region of New York State, or shopping our vast selection online from the comfort of your home. conveniently located off of I-86- Exit 49 for Big Flats. Palmer Road N is right off Daniel Zenker Drive, which runs parallel to the interstate.